The HelpDesk webpages are offered by the Information Technology department to deliver prompt assistance to Cabrillo Faculty and Staff. 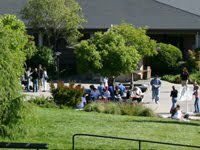 The Cabrillo College HelpDesk is open from 8:00 a.m. until 5:00 p.m. Monday through Friday. NOTE: Our phones have voice-messaging 24 hours a day, so leave a message if necessary, and we will call you back as soon as we can. Our website provides a wide variety of self-help resources designed to assist the Cabrillo College community quickly and efficiently. We also offer forms to request hardware repair, software installation, network ID creation, and audio visual equipment repairs.